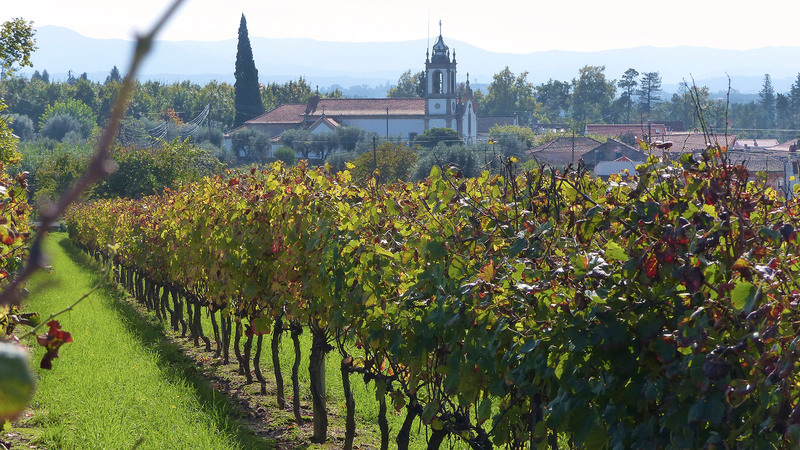 In the last 25 years, and with a lot of love and the greatest care we have established Quinta das Marias as an exclusive winery planted solely with indigenous grape varieties. Our wines reflect the elegance, profundity and finesse, which can only be found in the Dão thanks to its outstanding climate and its extraordinary terroir. As a family business, we value uncompromising quality above all else. It is because of precisely this that we can compete for the preference of the most demanding wine lovers in the global market. In the 80s I managed the subsidiary of the Zurich Insurance Group in Portugal. During my frequent business trips throughout the country I grew very fond of the Dão region around Viseu. In 1991, my wife Elisabeth and I bought four hectares of abandoned land and a house, which resembled a ruin more than a habitable dwelling, in Oliveira do Conde. We called the farm «Quinta das Marias» as Elisabeth and our three daughters, Ester, Isabel and Julia, all have Maria as one of their names. 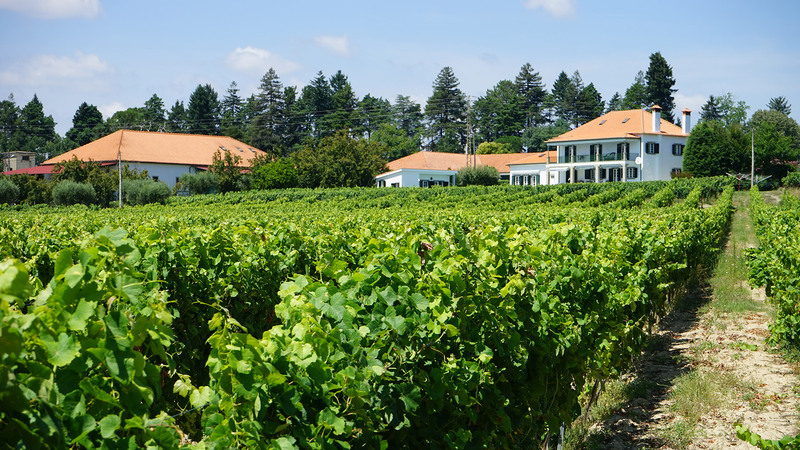 Firstly, we employed António Coelho Lopes as our caretaker, bought a tractor and planted two hectares of new vines. Thanks to the purchase of additional, bordering land we have since reached twelve hectares. 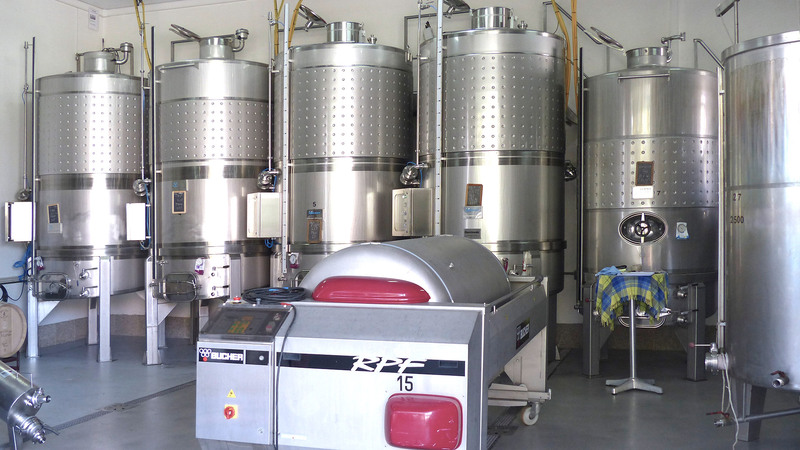 It was important to us that we were not only investors: we wanted to work with our hands and create wine ourselves. With the aid of Eng. António Narciso and hard work, I taught myself to become the «Winemaker» of Quinta das Marias. Legal requirements oblige us to only use grapes of our own production. These grapes are looked after with the greatest care, from the first pruning in winter right up to the harvest. From the very start, there was a clear determination and obligation to only produce wines of the highest quality. We believe that they should represent the Dão’s typical elegance and therefore withstand tough global competition. We produced our first good wines in 1998. In 1999, Quinta das Marias already won a gold medal in the competition of the Dão DOC authority. The biggest highlight to date was the awarding of “Best Single-Variety Wine of the Year” for the Touriga-Nacional Reserva 2011 at the Portugal Wine Challenge – the most important wine competition in the country. 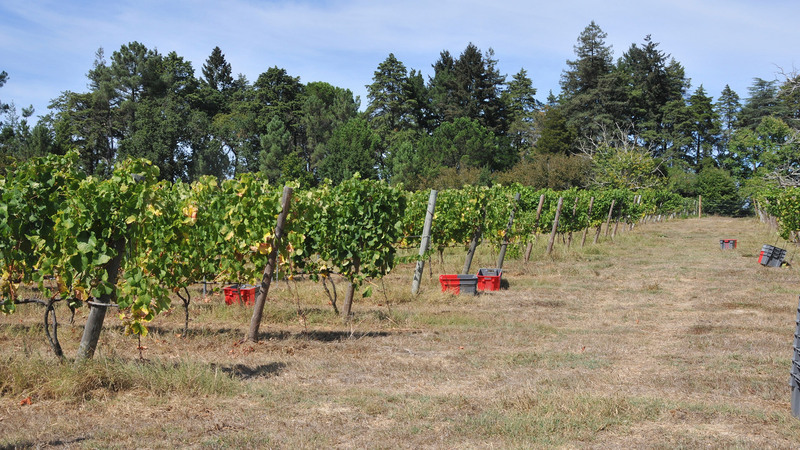 Climate Ideal for the cultivation of premium wine: cool and rainy winters, dry summers with hot days and cool nights (with up to 20° difference in temperature). Soil Deep granite soil. No irrigation. Elisabeth Eckert is responsible for the property of the Quinta. From the almost entirely dilapidated house she has created a rustic home for both the whole family, and the many guests and visitors. She accompanies Peter Eckert to countless fairs and tastings. During the Vindima she looks after the wellbeing of the helpers and she also lends a hand with bottling and labelling. Victor joined Quinta das Marias in January 2013. Initially he worked in multiple roles, with a focus on logistics and administration. After the sudden death of his father António Coelho Lopes, who played a major part in the building up of Quinta das Marias from the very beginning in 2014, Victor had to follow in his father’s footsteps earlier than anticipated. 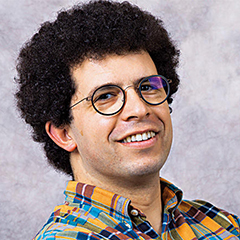 Today, Victor Lopes represents Peter Eckert when absent, takes care of the distribution of work, personnel, logistics and a great part of the administration. 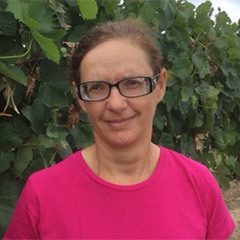 After the death of António Coelho Lopes, José Faria was given full responsibility over the vines, which he had been looking after since 2010. José had worked in a big agricultural business in France for over ten years and looked after many replantings in the Dão. He loves nature and fresh air – to him an office resembles a prison. 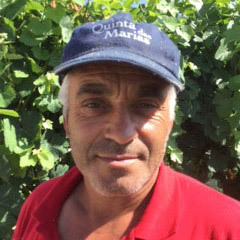 Ramiro Marques joined the Quinta das Marias team one year ago. 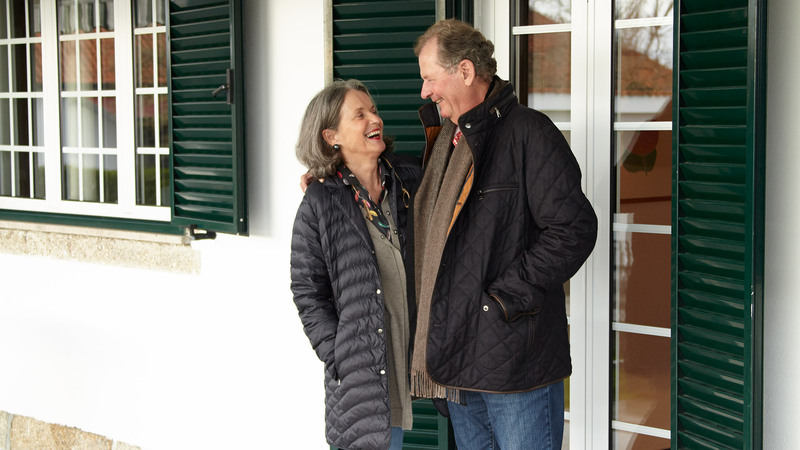 He moved seamlessly from a Swiss farm in canton Bern to a Swiss-run farm in Portugal. 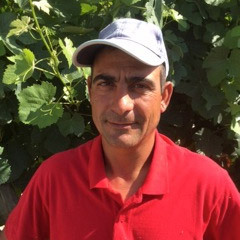 He works closely with José Faria in looking after the vines and the fields. 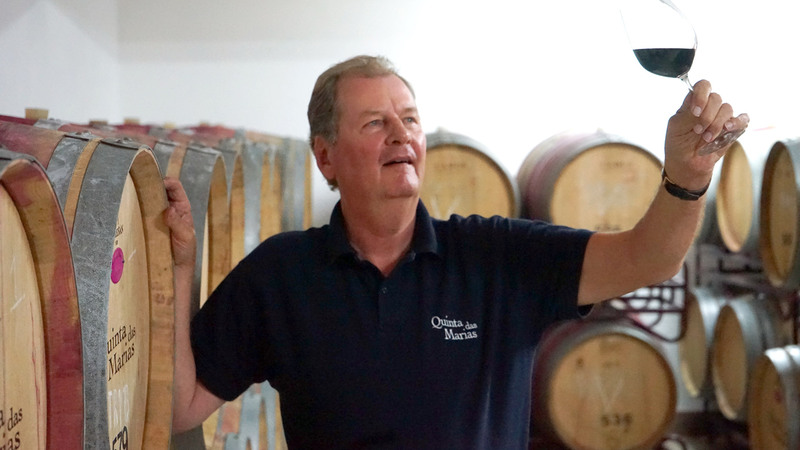 But just like every other member of the Quinta das Marias, he also joins in with other diverse work that has to be done, such as bottling, labelling and working in the cellar. 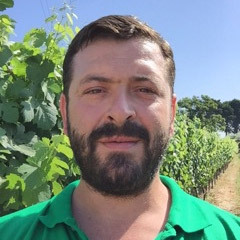 As from the 1s of August 2018, Luís joined our team as the new responsible Enologist of Quinta das Marias. After his studies in Portugal, he gained additional experiences in France, Germany and New Zealand. 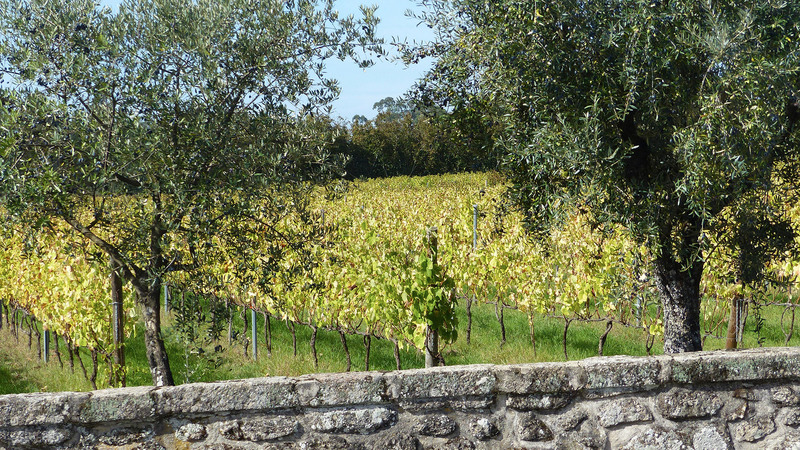 For the last eight years, he worked as Enologist with a sizeable Dão wine producer. We are very pleased to have Luís with us as he brings new ideas and great experience and we wish him all a warm welcome ! 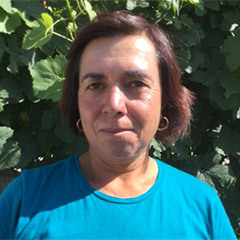 Fátima and Alexandra are two part-time employees who help José Faria with bigger or more pressing work in the vineyard and who are also of great assistance during the Vindima. This wine produced from Portugal’s indigenous Encruzado grape has become a real testament to this country’s outstanding wine making heritage. It’s rich, deep and full of flavour with an impressive mid palate concentration. Fruity with discreet acidity – it’s a real pleasure to drink! A great company to fish and seafood! Wine Making: The grapes are handpicked and immediately brought to the winery where they undergo hand selection, destemming and crushing. The must is cooled down to 12°C with the help of dried ice (CO2). Skin contact during 24 hours. The must is then fermented in a stainless steel tank at 16°C. Bâtonnage during 3 months. We decided in 2016 to complement our successful Premium white Enruzado Barricas with a small quantity Sémillon, Barcelo and Goveio grapes and kept it some months longer in Barriques of French oak. We achieved a very complex, wonderfully structured wine of great longevity that has already conquered its place in the top league of Portuguese Premium whites. 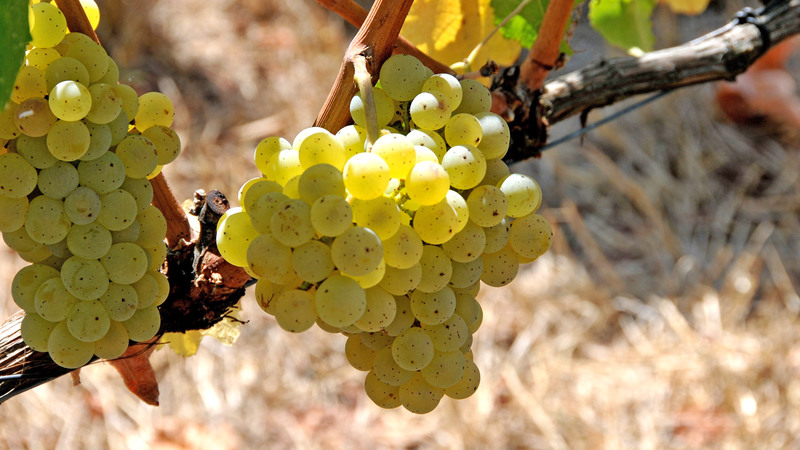 Grape Variety: Encruzado 75%, Sémillon, Gouveio & Barcelo 25%. Wine Making: The grapes are handpicked and immediately brought to the winery where they undergo hand selection, destemming and crushing. The must is cooled down to 12°C with the help of dried ice (CO2). Skin contact during 24 hours. The Barrel fermentation took place in French oak barrels (2 new and 3 used). Bâtonnage during 14 months.. Analysis: Alc. 13 % Vol. Total Acidity 5,78 gr/L. Residual Sugar 0,6 gr/L.. The goal of our newest project Vin Naturel was to produce a white wine free of any ideology with a minimum of human intervention. After simple decanting of the lees we used natural yeast for the fermentation. There was no further treatment before filtering and bottling. The aim of our project „Vin Naturel“: A wine free of ideology produced with minimal human intervention. Conditions: Stable for at least five years and of a visual appearence appealing for all consumers. Wine making The grapes are handpicked and immediately brought to the winery where they undergo sorting, destemming and pressing. Decanting from the gross lee, spontaneous fermentation at 16°C. This wine did not undergo any further treatment before filtering and bottling. Our 2017 Rosé is a refreshingly fruity, crisp wine with precisely the right touch of summer sweetness. It’s the perfect choice for those hot days spent by the pool, and cool nights shared with friends around the dinner table. Capturing our continued passion for crafting truly memorable wines, its balanced flavor will delightfully linger in your thoughts long after summer has gone. hand selection, destemming and crushing. The must is cooled down to 12°C with the help of dried ice (CO2). Skin contact during 4 hours. 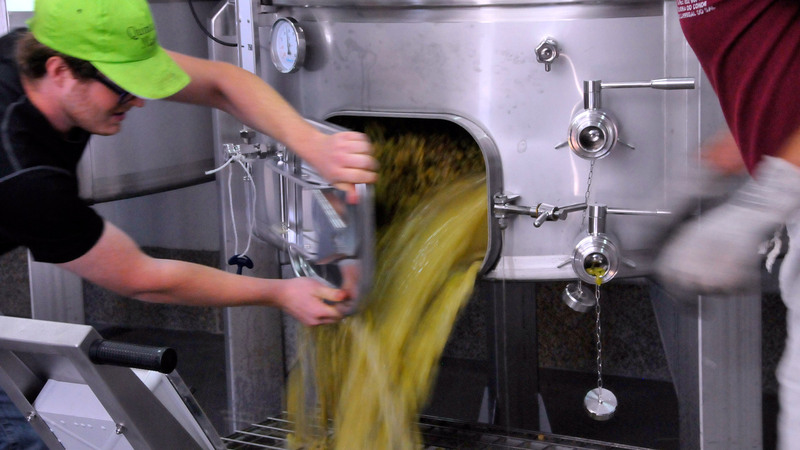 The must is then fermented in a stainless steel tank at 16°C. A very typical, modern Dão Blend made from the traditional grape varieties Touriga-Nacional, Tinta-Roriz (Tempranillo), Alfrocheiro and a hint of Jaen. It has a fruity and floral aroma that harmonizes nicely with its well-balanced acidity. And with a well-structured body of smooth tannins, this contemporary blend is ideal for every day. Grape Varieties: Touriga-Nacional, Tinta-Roriz, Alfrocheiro & Jaen. Vines planted between 1991 and 2003. Wine Making: The grapes are handpicked and immediately brought to the winery where they undergo hand selection, destemming and crushing. 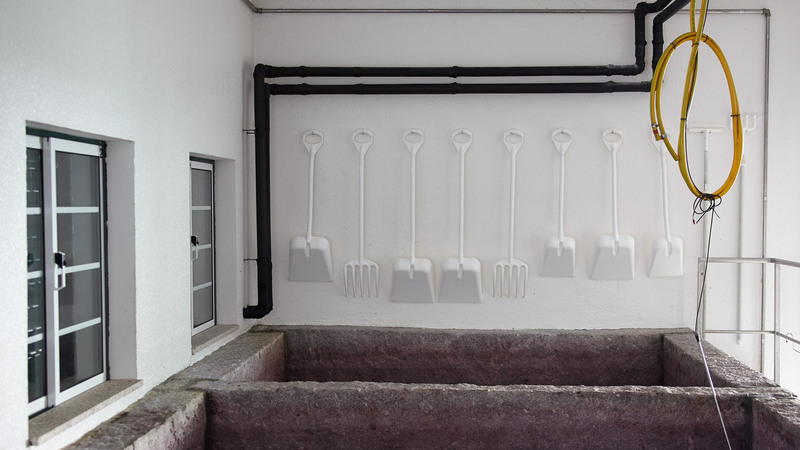 Fermentation in traditional Granite Lagar and Ganimede Fermenters. Malolactic Fermentation and ageing in used French oak Barriques (2nd & 3rd year) during 12 months. This is a very sought after specialty of our Quinta produced from the autochthonous Alfrocheiro grape. It has a mid-palate that’s aromatic and elegant with cherry and raspberry notes. With an earthy nuance and an acidity that combines with sweet fruit, this wine offers a succulent finish with some tannins that give it the right amount of support. This wine has often been compared to a Burgundy – however we think it’s better. Grape Variety: 100% Alfrocheiro, Vines planted in 1991. Wine Making: The grapes are handpicked and immediately brought to the winery where they undergo hand selection, destemming and crushing. Fermentation in a traditional Fermenter. Malolactic Fermentation and ageing in French oak barriques (3rd use) during 12 months. This well-matched modern blend of Touriga-Nacional and Tinta-Roriz (Tempranillo) was partially fermented in traditional granite lagars and then aged for 12 months in French oak barriques. It offers an intense and spicy aroma of junipers and wood-berries. With an excellent structure of vibrant acidity, balanced fruit and firm tannins, this wine is sure to please. A superbly gastronomic wine! 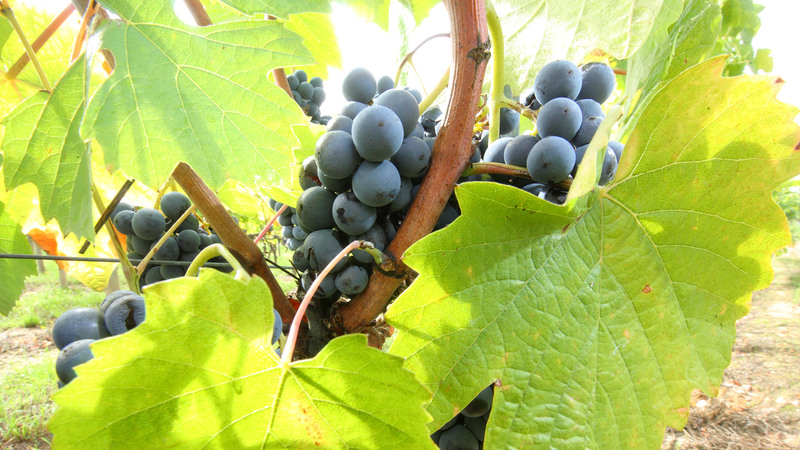 Grape Variety: Touriga-Nacional and Tinta-Roriz (Tempranillo). Vines planted in 2001. Wine Making: The grapes are handpicked and immediately brought to the winery where they undergo hand selection, destemming and crushing. Fermentation in a traditional Fermenter. Malolactic Fermentation and ageing in French oak barriques (2nd year) during 12 months. Our 2015 «Reserva Touriga-Nacional» is again a true reflection of what characterized our entire harvest—small quantities with superb quality. This is a very poweful wine with a great personality. With a wonderful fruit, good acidity, strong tannins, excellent volume and a long, seductive finish—this limited release is certainly a must for all Touriga-Nacional lovers. Wine Making: The grapes are handpicked and immediately brought to the winery where they undergohand selection, destemming and crushing. Fermentation in Ganimede Fermenters. Malolactic Fermentation and ageing in French oak barriques (30% new, 70% second use) during 12 months. After 2005 and 2010 we produced in 2015 our third Garrafeira. According to the Portuguese DOC-regulations, Garrafeira is the highest quality level, just after «Reserva», and has to fulfil especially strict standards. Approximately every five years we produce a Garrafeira with high quality grapes and small yields from the oldest vines of the Quinta das Marias. The wine matures to two thirds in new French 225 L barriques. The Garrafeira is a highly elegant, multifaceted wine with delicate tannins and balanced acidity – the perfect companion to a nice meal. It is by sheer coincidence that we follow the sequence of producing every five years – after 2005 and 2010 – a red Garrafeira. Made from the very best Touriga-Nacional grapes harvested from the oldest plot of our Quinta das Marias, we carefully crafted an extraordinary wine that you can keep for 15 years without any problems, provided you do not succomb to the temptation to taste it before, what is most likely! 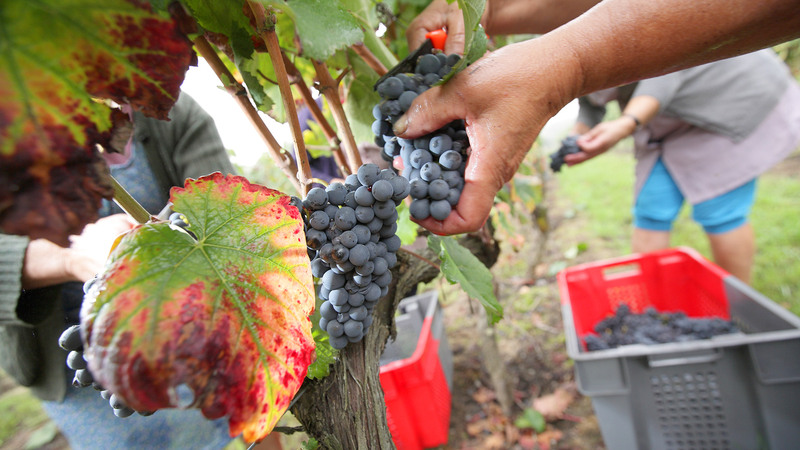 The grapes are handpicked and immediately brough to the winery where they undergo destemming and crushing. Fermentation in Ganimede fermenters. Malolactic fermentation and ageing in Frechn oak barrique of the very best quality, 40% are new and 60% of second use.